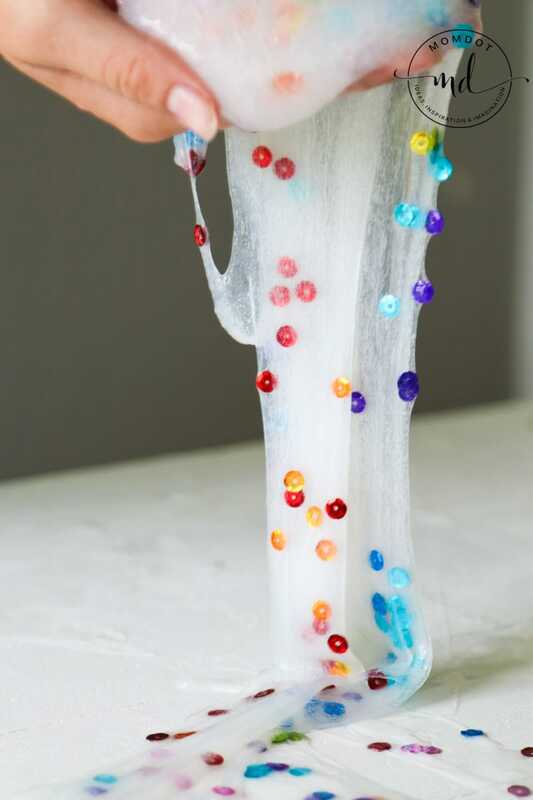 This clear glue slime is perfect for kids homemade slime recipes and all your upcoming DIY fun. Love learning how to make slime and all the homemade slime recipes that go with it? 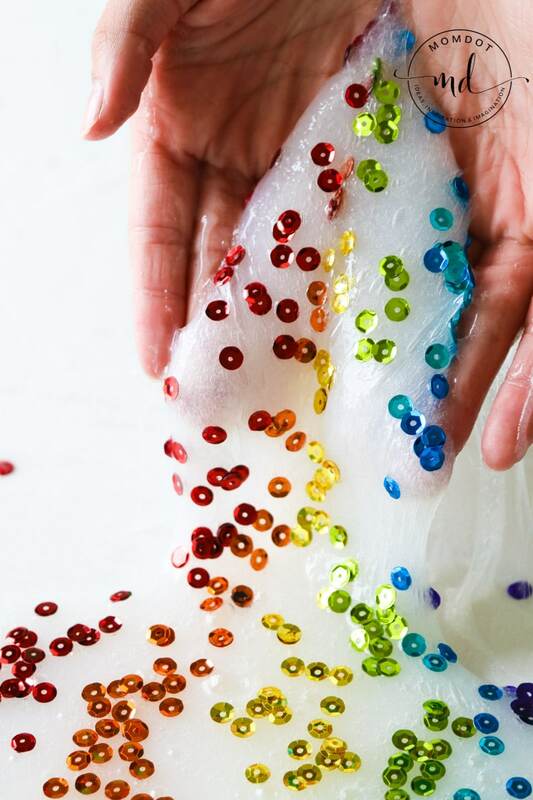 Pass on the white glue and head to the clear glue for an amazing way to enjoy colorful rhinestones, glitter, or even rubber bands to crunchy slime. See below on how to make your very own borax free slime this week and get ready for some super fun sensory play. Clear glue slime is a lot stickier than fluffy slime recipes, but that is half the fun of play time. All slime is made the same way, with glue and an activator like borax, starch, or saline. Just follow the above links to get the exact slime that you are looking for in a recipe. 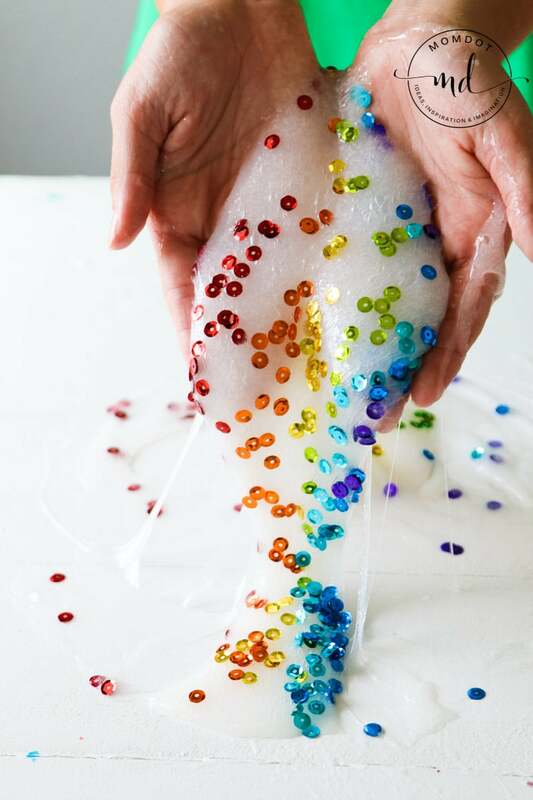 Each way you make this super fun, stretchy science experiment, you can mix up how awesome it is and what it feels like. We made it with the following slime ingredients below. For this slime, you will need the following items. You can learn more about how to color your clear glue (Which we didn’t do here) by visiting Unicorn Poop with Clear Glue recipe. Once you make your clear glue slime, you can add anything you want to it! If you are looking for crystal glass slime where you can see THROUGH the slime, you will need to use borax and not liquid starch. Liquid starch has a slight tinge to it which changes the color of the clear glue. Once you do your borax, water, and clear glue, you can store in a Tupperware until all the air squeezes out of the slime and your slime will be clear. or search all momdot’s DIY projects here. Slime hardens when its left out to the air so its important to store slime to keep it fresh! We like to add our slime in Tupperware or lidded containers to make it the easiest to play with. You can also store slime in mason jars or zip lock baggies if need be. As time goes on, slime can become a bit stickier and its super easy to get it back to play worthy. Simply add more activator like liquid starch a tsp at a time and mix up. This will make your slime come back to life without creating and entirely new batch. 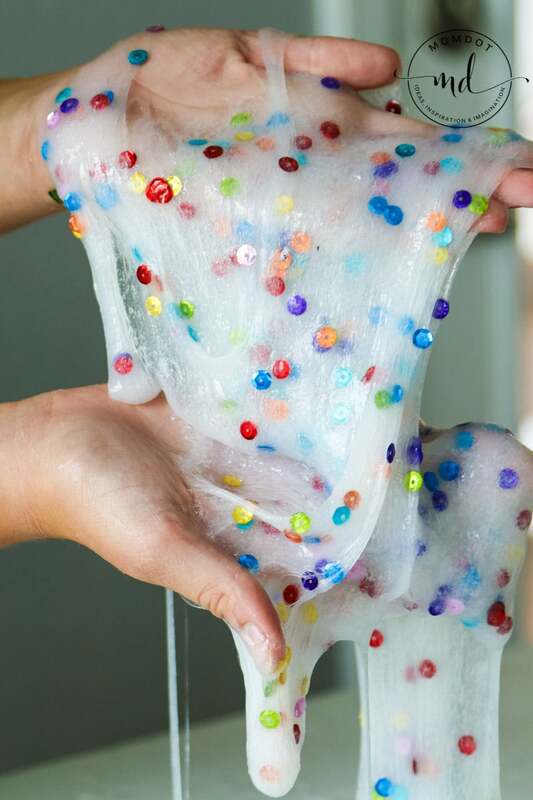 When it comes to adding items like rhinestones or rubber bands , once the item is is in the slime, its in there for good, so if you want to make sure you have plenty of play time, only add items in batches and not the entire recipe.